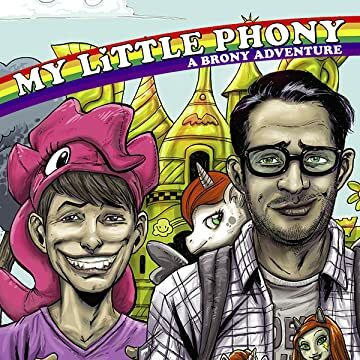 Welcome to the world of the Horse-He, middle-aged men who share an unusual devotion to My Little Phony. Though the line of sparkley and adorable horses was made for young girls, nothing stops the Horse-Hes from adopting this lifestyle. 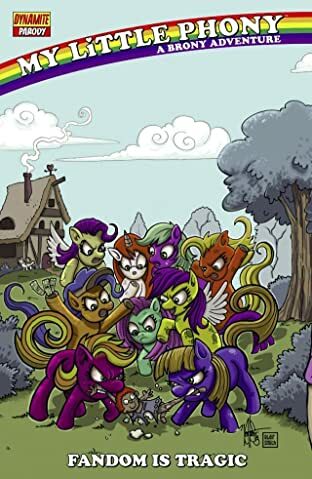 When a dispute ignites over which clan of Horse-Hes are truest to the Horsey creator's original vision, the game of one-upmanship gets bizarre, and apocalyptic. Now, the Horse-Hes must travel the barren wasteland to discover who the truest Horse-He is. Written by Hack/Slash writers, Mike Moreci & Steve Seeley!